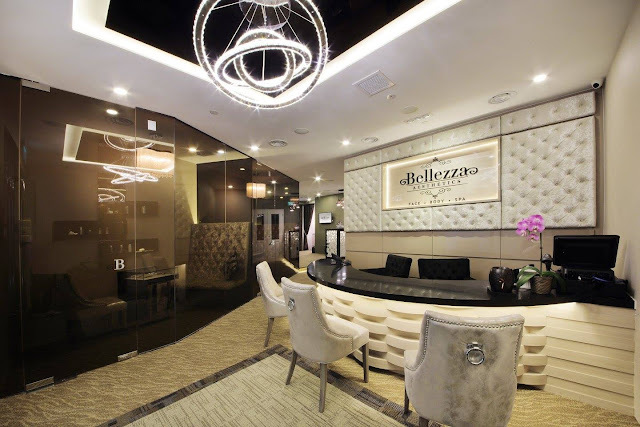 [Facial Review] Bellezza Aesthetics - New Outlet at Wheelock Place! In this age and era, nothing beats having a perfect selfie... without filter or Meituxiuxiu, right? Let's not even mention the numerous benefits one gets when you look fresh and radiant. 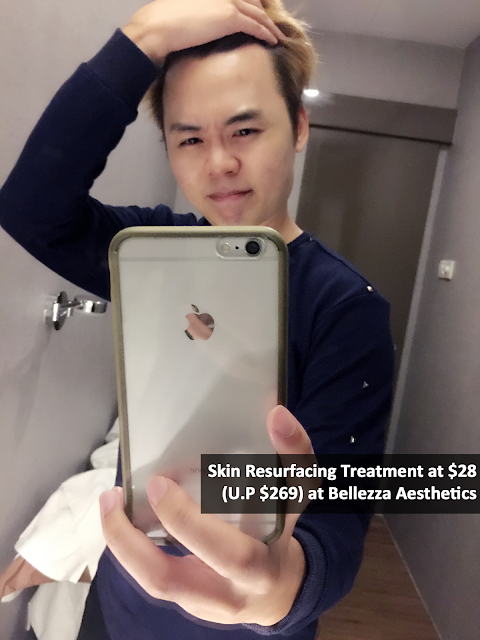 I had the opportunity to head down to Bellezza Aesthetics to pamper my face recently, and oh my god it was so good! Having just shifted from their previous Tanjong Pagar outlet, everything in their new place at Wheelock looked so... new. And sparkly. You can tell the effort they have put in to give us a luxurious ambience. Even their pen is exquisitely royal in design! Shoutout to their delicious cookies! I gobbled all of them up. After I enjoyed my tea and cookies, I was led into another room where I would be having my facial treatment. I had the Skin Resurfacing treatment with mineral sea salt. According to them, the treatment helps to brighten your complexion and the result shows in just one session! Were their claims true? I was eager to find out. Before the treatment, the therapist applied lavender oil and waved it around my face, which was supposed to help relief my tension and soothe my nerves. After about 5 minutes, a machine was wheeled into the room and my Skin Resurfacing treatment began. It felt as if someone was using a vacumn cleaner on my face! I was told that this gentle vacuum action actually gives the facial muscles a mini workout, which helps to provide a lifting effect. OKAY MY AGE IS CATCHING ON ME, TOTALLY NEED THOSE LIFTING EFFECT. At the end of the Skin Resurfacing treatment, I immediately noticed the whitening effects on my skin. My face was also slightly glowing, which I LOVED. That wasn't it. She then proceeded with a facial massage that was SO HEAVENLY. I felt all the tension on my face disappear with every kneads, and I dozed off soon after. Subconsciously, I could remember her telling me that she was going to do extraction, and then awhile later, she proceeded to apply a layer of mask on my face. At the end of the treatment, I felt rejuvenated and my skin felt fresh. I felt really good as I walked out of Bellezza Aesthetics, and that is really the whole purpose of a facial spa, isn't it? To feel good, knowing that you look good. One of the concerns of trying out new facial treatments is the fear of breakouts. We might have heard some horror stories of people breaking out, or developing complications right after they tried out a new treatment from a new place. Well, you can throw all of your concerns out of the window, because my rather sensitive face did not suffer from any breakouts one week after the treatment! I was told that with regular Skin Resurfacing treatments, my face will become smoother, fairer and have a radiant glow. And with that promise, I was sold, because I am actually looking to sign a package with them soon! As readers of Talking Evilbean, you get to enjoy what I did at only $28! Simply dial +65 6223 2533 to book your appointment with them and enjoy the awesome promo. Take a before and after photo and witness the effects yourself! 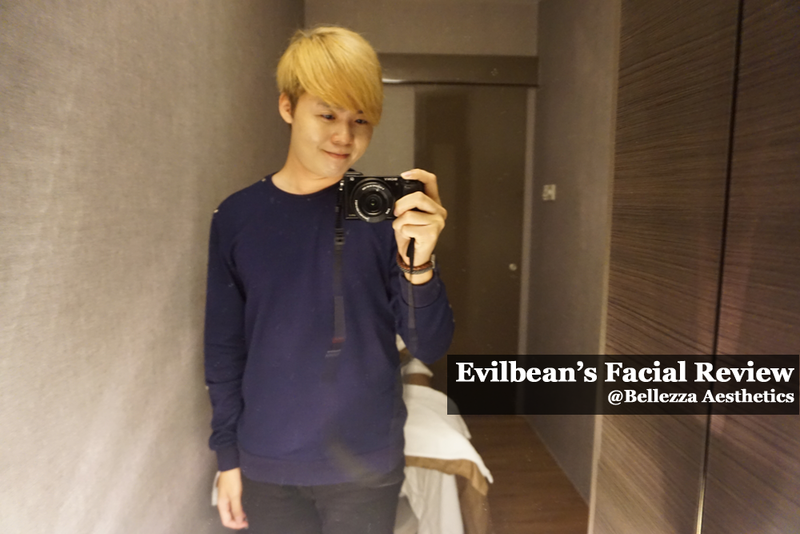 PROMO for you: Quote "Evilbean" (or show them this post) to enjoy a Skin Resurfacing treatment at only $28 [U.P $268], including a Skin Analysis Scan! Thank you Bellezza for the wonderful facial!